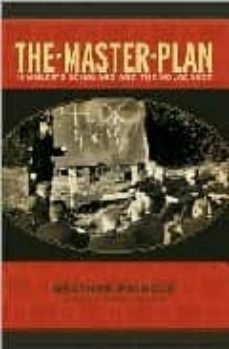 Now in paperback, the groundbreaking history of the Nazi research institute whose work helped lead to the extermination of millions For those who thought the zealous Nazi archaeologists in Raiders of the Lost Ark were a screenwriter's fabrication, journalist Heather Pringle has the chilling, real story. In 1935, Heinrich Himmler -- chief of the SS and architect of the death camps -- founded the Ahnenerbe, a research institute that manufactured archaeological evidence to support the notion of Aryan superiority. His team of adventurers, mystics, and reputable scholars was charged with traveling the globe to compile "proof" that a race of blond-haired, blue-eyed conquerors had dominated the world in prehistoric times. The identification of their descendants and the eradication of all others became the cornerstone of the Nazi agenda. Drawing on Pringle's extensive original research, including interviews with surviving members of the Ahnenerbe, The Master Plan is a page-turning story of delusion and excess, of scientific and political abuse on a global scale. Heather Pringle is the author of The Mummy Congress. Her writing has appeared in Science, Geo, New Scientist, and Discover, where she is currently a contributing editor. She lives in British Columbia.